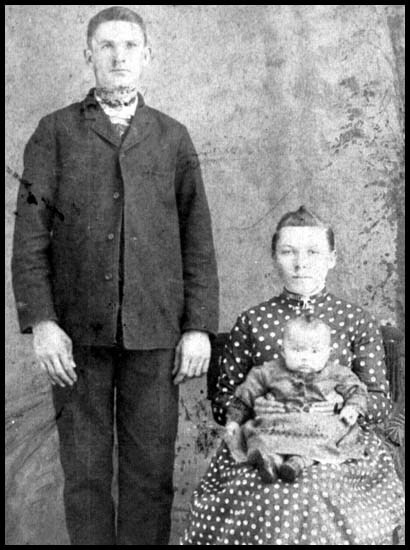 John David Brewer, b. 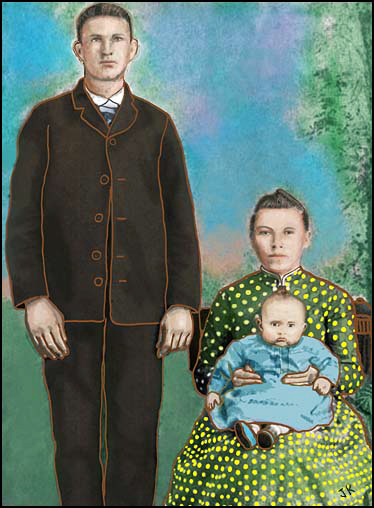 1869 Dec 10, in Osage Mission, Neosho, Kansas, was a son of David Nathaniel Brewer and Delana Fowler Brewer. 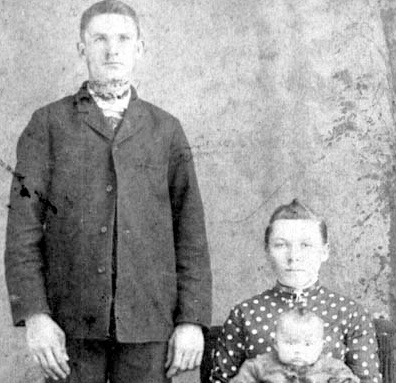 He married Eva Hall and in August of 1890 their first child, Addie Florence, was born in Barton county, Missouri, where this photo was likely taken. I instead had some fun playing around with it rather than just touching it up. For more on the family visit this post and also utilize the tags.